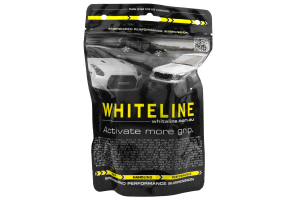 On this page, you are looking at the Whiteline 30mm Steering Rack Bushings. I replaced my worn steering rack and installed these along with it, My OEM rack utilized the square bushing along with the larger of the circular one.. (it comes with 3 total, just compare it to the one that came off of your car's rack) the smaller sized was unused ( i believe it to be the 25mm) These were straight forward to install and it was alot stiffer and thicker than the ones included with my refurbished rack. I have combined this install with other front end stiffening upgrades so I am unsure of the performance itself but its a good security. Hello. Do these fit on a 2003 WRX? Do you guys ship it to Brazil? Thanks. A: Yes, these are confirmed to fit on a 2003 WRX. Yes, we can ship to Brazil. Will this fit my rs rack? 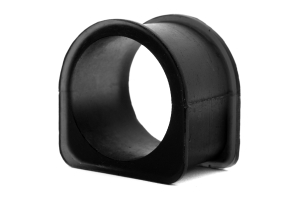 A: Hello, Yes, Part # KSR202 has the correct bushings for your 2.5rs. If you have any further questions please feel free to call us at 909 476 2860. A: You have to measure what size your OEM bushings are, Subaru put different sizes in each vehicle. Would these be the correct bushings for an 05 RS? A: These may fit a 2005 Impreza RS, but there was a change to the design in 2005 and we recommend that you inspect and verify which bushings you have before ordering. I'm confused as to which bushings I should get my USDM 2001 2.5RS since both the 25mm and 30mm bushings are confirmed fitment. Any recommendations? A: It is recommended to measure your passenger side steering rack bushing to verify which bushings are correct for your car. We have found that Subaru was not consistent with their steering rack bushings in some older models. A: Both bushings are available for that chassis because Subaru produced that vehicle first with one size, then change to a different size in the middle of the production run. Although the VIN may tell the story, it is only helpful looking up OEM repalcement parts. 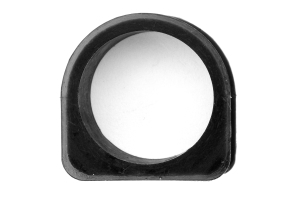 It would easier (and more accurate) to measure the actual OEM bushing in the specfic car you are trying to replace. Yours may in fact be different from another USDM 2001 2.5RS.